Add a video for "Bear Complex"
The oldest mention we've found of this popular CrossFit benchmark WOD is from the comments on a "rest day" post on the CrossFit main site from Tuesday, September 7, 2004 (040907), with more details discussed in the CrossFit.com forum on on December 12, 2007, where where one member clarified, "The complex isn't done for time. It's a strength and tenacity workout." While there's no time limit, like other "for load" workouts (eg: CrossFit Total), the spirit is that the workout be completed in a single lifting session. 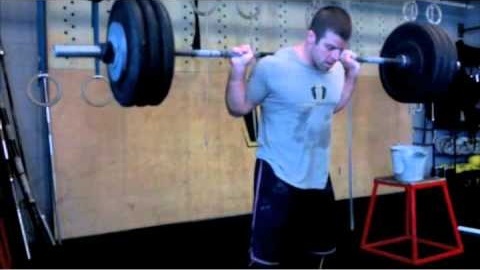 A typical "Bear Complex" session may take an athlete 30-40 minutes with moderate rest between sets.